Tubal factor infertility accounts for about 30% of female infertility. This category comprises cases in which one or both tubes have been completely blocked. This could come as a result from tubal damage caused by previous ectopic pregnancy, pelvic inflammatory disease, pelvic endometriosis, previous pelvic operations or even ruptured appendix. 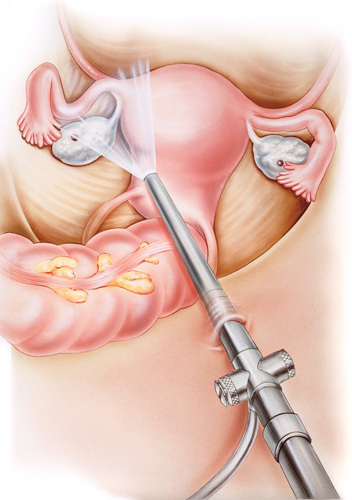 This is the most commonly performed test to detect tubal patency using x-rays and a special dye. 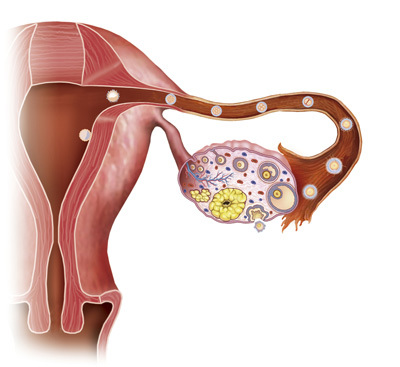 It can also diagnose uterine cavity anomalies such as uterine adhesions, polyps and fibroids. However it provides little information regarding peritubal and peri-ovarian adhesions. Moreover this method could present a minor risk of pelvic infection. 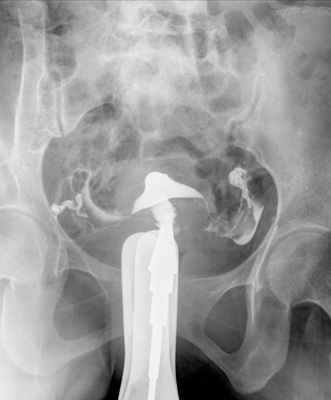 Full evaluation of the tubes and the pelvic cavity is possible by performing laparoscopy. Diagnostic or operative laparoscopy is performed under general anesthesia, by inserting a fiberoptic telescope through a small (5mm) incision near the navel inside the abdominal cavity. This way we can directly visualize the internal reproductive organs, accurately diagnose infertility factors and at the same time offer surgical treatment. Laparoscopy is performed by specially trained surgeons. Recovery is quick and the patient stays in hospital only for a few hours postoperatively (maximum stay is normally 24 hours). The treatment for tubal damage is either through laparoscopic tubal anastomosis, if right criteria are met, or through IVF.